Photo: Courtesy Ozark County Times. A Theodosia woman is accused of stealing five vehicles and selling them to another individual. 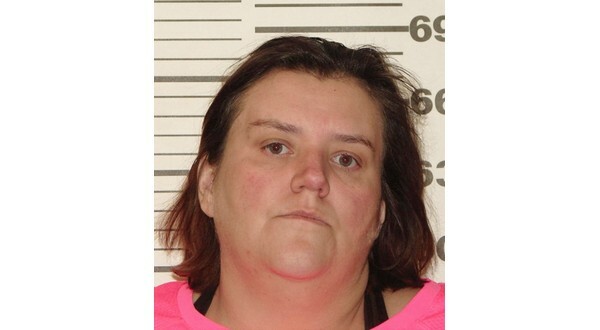 The Ozark County Times reports 37-year-old Patricia Brown was booked in the Ozark County Jail in March on five felony counts of stealing a motor vehicle. According to a probable cause statement, an Ozark County deputy was contacted by a male claiming to have purchased seven vehicles from a woman in Pontiac. The unnamed individual says he often purchases vehicles for cash and drives to Missouri locations to complete the transactions, and a woman had allegedly contacted him saying she purchased land with several vehicles on it. The pair met on March 4th at the property on Morris Lane in Pontiac, and Brown reportedly agreed in a written contract to sell the vehicles to the male for $850 and an additional $70 for the vehicle batteries. The male says Brown soon contacted him again and asked him to purchase more vehicles, but he became suspicious when the information was inconsistent with information she gave him the first time, and he contacted the Ozark County Sheriff's Office. The deputy contacted the owner of the Morris Lane property and later met him at the property. The owner says the vehicles were his, and no one had permission to sell them. He also says he recently rented one of the residences on his property to Brown. The deputy ran the license plate number listed on the contract for the vehicle the female drove up in, and it was registered to Brown. He then presented a photo of Brown to the buyer, and he positively identified her as the seller. The male contacted the deputy on March 11th and said he was meeting Brown again at the Morris Lane property that afternoon. Three deputies arrived at the property just before 1 and located Brown in the residence with the male she thought was there to purchase the vehicles. She reportedly admitted to selling the vehicles to the deputies and later made the same admission while interviewed at the jail. Brown's cash-only bond was set at $2,000. If convicted, she faces up to four years in the Missouri Department of Corrections on each count.